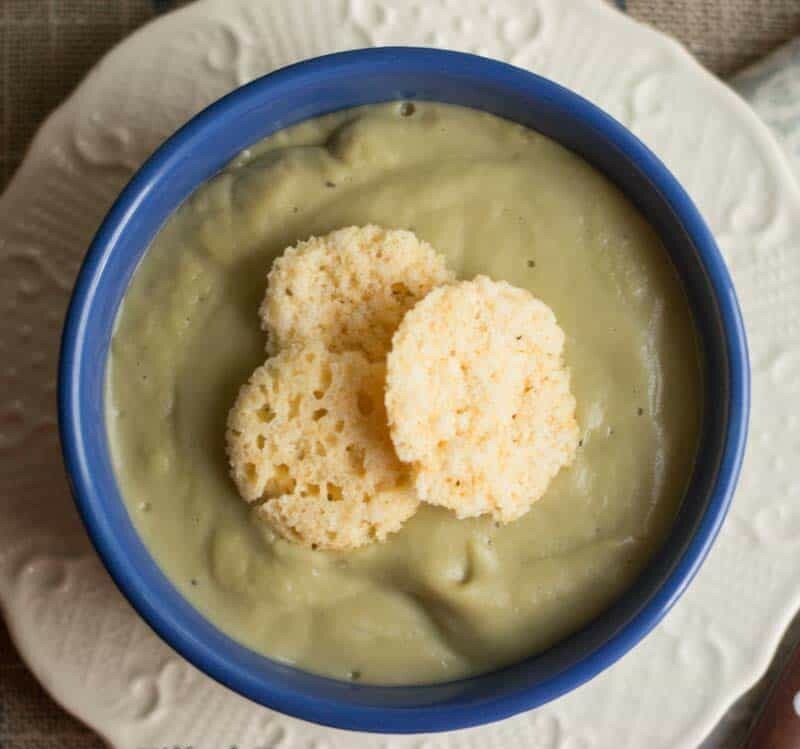 This Garlic Soup is rich and creamy while being dairy free. The garlic flavor shines in this simple soup. You will never know that the creaminess comes from a combination of okra, cauliflower, and coconut oil. To be completely honest, I am not a huge fan of okra. I don’t mind it if I can’t taste it, but putting it in baked goods and smoothies grosses me out. When I decided to try to get more okra into my diet I knew that soup was the way to go. 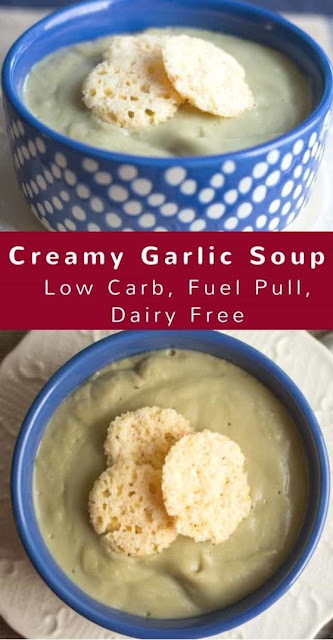 This Garlic Soup is rich and creamy while being dairy free. The garlic flavor shines in this simple soup. Add the first 4 ingredients to a large soup pot. Cover and turn the heat to high. When it boils reduce the heat to medium and simmer covered for 1 hour. Add the salt and coconut oil. Carefully transfer to a blender and puree. Thin with chicken broth, if desired.